Stourbridge are nicknamed “The Glassboys” due to the town’s traditional association with the cut glass industry. 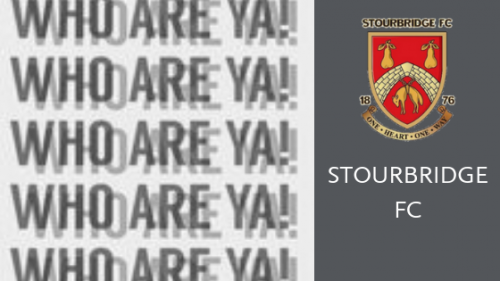 Founded in 1876 and they were originally known as Stourbridge Standard but by the late 1880s had changed their name to simply Stourbridge. After World War II, The Glassboys enjoyed their greatest period of success in non-league football, winning the Birmingham Combination Championship in 1952 and also the Birmingham, Worcestershire and Herefordshire Senior Cups. In 1971 the club was elected to the expanding Southern League and met almost instant success in the 1973–74 season, clinching the Division 1 (North) title and the Merit Cup (for the league’s highest goalscorers). 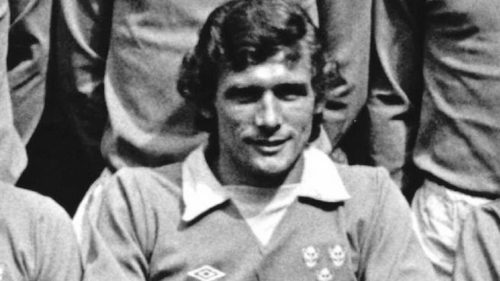 Strikers Ray Haywood and Chic Bates (below) each notched an astonishing 50 goals in the 73-74 season and both were transferred to Shrewsbury Town. Stourbridge spent ten seasons in the Premier Division of the Southern League between 1974 and 1984, two centre-forwards were also sold in the 70s, Steve Cooper to Torquay United and Tony Cunningham to Lincoln City – who later went on to play for Newcastle United. 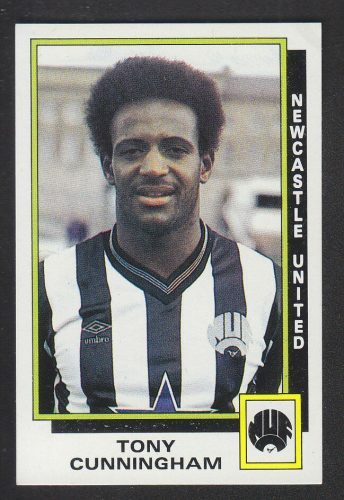 A disastrous run of results in 1987–88 led to the club being relegated, however fortune was on the club’s side and they were re-elected to the Midland Division. Stourbridge then went from strength to strength, culminating in winning the Midland Division championship in 1991, although Southern League officials refused them promotion due to the shared use of the ground by the local cricket club. Stourbridge’s 29-year spell at Southern League level ended with defeat in the last game of the season at Hinckley United in May 2000. The club began its first ever spell in the Midland Football Alliance by finishing in fifth place. On the final day of the 2001–02 season the Glassboys were crowned champions in dramatic fashion as a stoppage time goal earned the point they needed at Stafford Town to pip Bromsgrove Rovers to the title. The 2007–08 season saw the club secure a play-off place. A 1–0 win at home to Sutton Coldfield Town took them through to the final away to Leamington, In front of a crowd of 1,634, a goal from Leon Broadhurst four minutes from the end of extra-time sealed a 2–1 victory to earn Stourbridge a second promotion in three seasons and a return to the Premier Division of the Southern League after a gap of 24 years. In the 2009–10 season, the Glassboys reached the FA Cup first round for the first time in their 133-year history and were drawn at home to Walsall. The game ended in a 1–0 defeat for Stourbridge in front of 2,014 fans. In the 2011–12 season, the club won their way through four qualifying rounds to again reach the first round of the FA Cup being drawn away to League Two side Plymouth Argyle where they drew 3–3 at Home Park. The replay was chosen for live coverage by ESPN, netting the club over £33,000. A crowd of 2,519 witnessed a 2-0 victory for Stourbridge. In the Second Round of the competition, and the club were dealt a home tie against, then, League One club Stevenage. The game ended 3–0 to Stevenage, with the game being played in front of 3,067 following the erection of a third temporary stand! 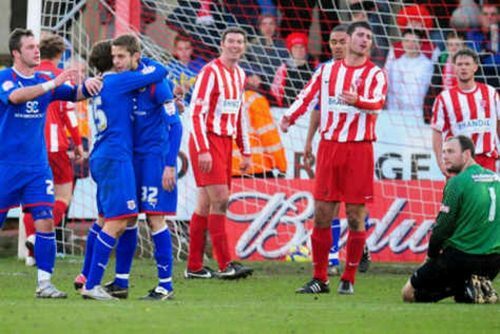 In the 2013–14 season, Stourbridge beat Biggleswade Town in the first round of the FA Cup and were the lowest ranked team in the second round proper, where they were once again knocked out by Stevenage. For the 2014-15 season, Stourbridge were moved across to the Northern Premier League. 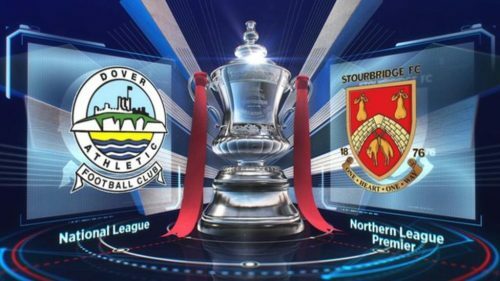 In the 2015–16 season, Stourbridge once again reached the first round proper of the FA Cup (the fourth time in seven seasons) this time they were drawn away to Dover Athletic, the game finished 2–1 in the Glassboys’ favour. In 2016–17, after beating Whitehawk in a FA Cup first round replay 3–0.. Stourbridge then defeated League One side Northampton Town to reach the third round for the first time in the club’s history. The third round draw resulted in Wycombe Wanderers hosting Stourbridge. 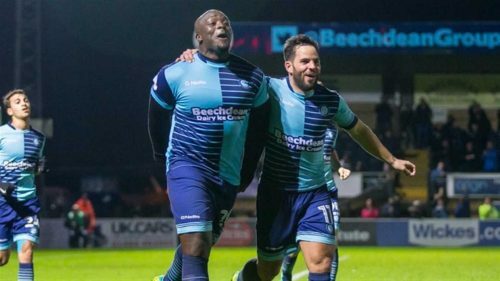 Dan Scarr cancelled out Wycombe’s opener but Wycombe’s man-mountain Adebayo Akinfenwa gave the League Two side a late winner.